Are you surprised to see anyone in Hollywood actually still thinks like that? Kevin Hart is playing the long game. We know this because we’ve brought it up before. Kevin Hart is not satisfied with the idea of merely becoming a Hollywood Insider. Who cares about becoming just another ‘one of the cool kids’? He wants to be big like Oprah. Ok, he meant EMPIRE, naturally. 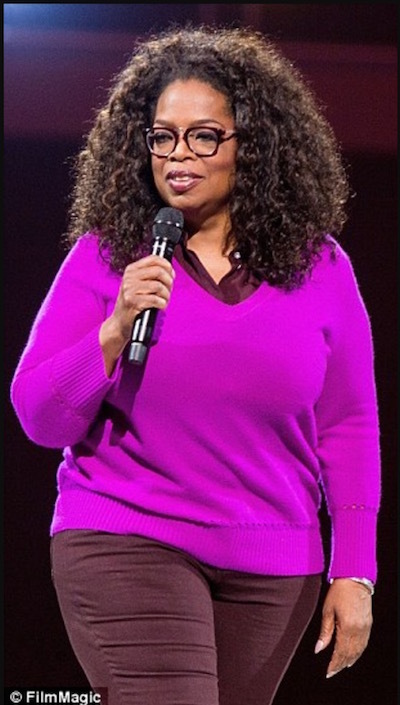 Oprah is amazingly successful. That was then. He’s back in the news. He has MORE unpopular ideas that won’t sit well with Hollywood’s ‘cool kids’. Sounds like he’s not only a wickedly hard worker, but he knows about not biting the hand that feeds you, too. “I want to take your mind off of whatever may be going on in your life that could be wrong and give you a reason to say, you know what? It’s going to be OK. That’s being the positive, motivating, inspiring person that I am, that I always will be,” Hart says. He’s moved into first place for highest-grossing comics. Seinfield is now in second. Looks like his plan is right on target. Let the (Trump) haters hate. Hart is going places. Share if we could use more Hollywood types with Hart’s non-partisan approach.